My dining room makeover has come a long way. Much like the rest of the house, it’s evolved over time with my changing design tastes. If you’re standing at the front door, the dining room is to the far left corner of the house, accessible through either the kitchen or living room. When I first bought it, the previous homeowner was using it as her bedroom. 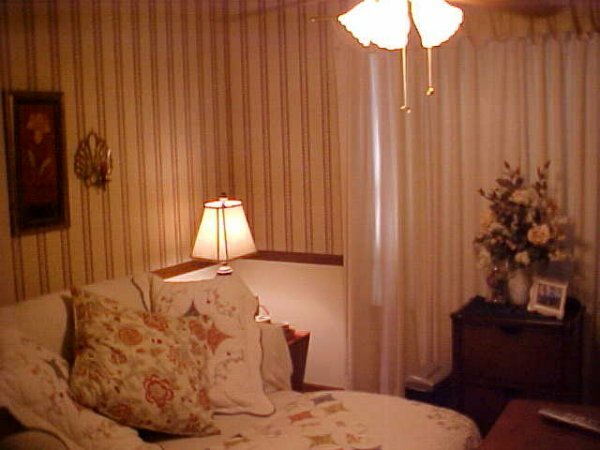 It also had a low ceiling fan, dingy ceilings, and heavy curtains that shut out the light. So, you could say I had my work cut out for me turning it back into a dining space. The renovation began with replacing the floor and adding some picture frame molding. The hardest part by far was stripping down the wallpaper and repairing the damaged walls, which led to lots of lessons about what products work for drywall repair and getting things ready for paint. Then, I chose a bold color for the walls. The room was turning back into a sophisticated space for entertaining! And after a new light fixture and decor, here’s where we are now! 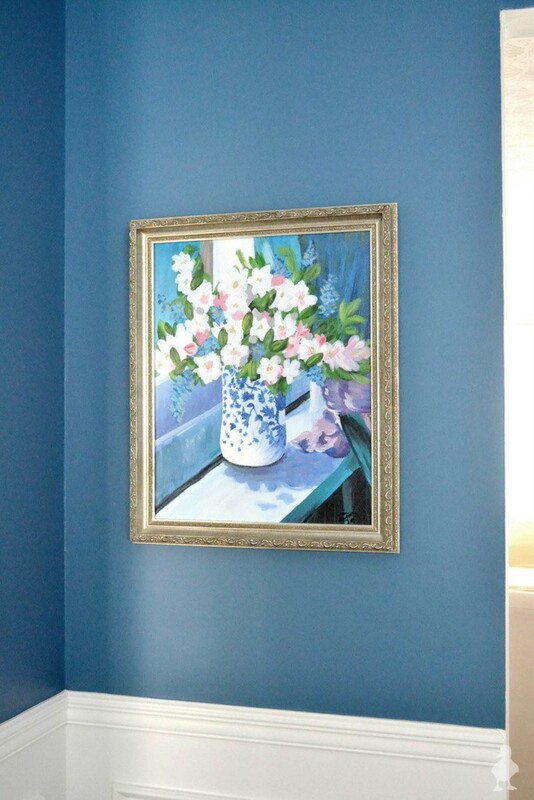 I didn’t just dip a toe into the water with this color – I went for impact with a vibrant blue dining room! And even though I was nervous about how it would come together, the room is finally taking shape. 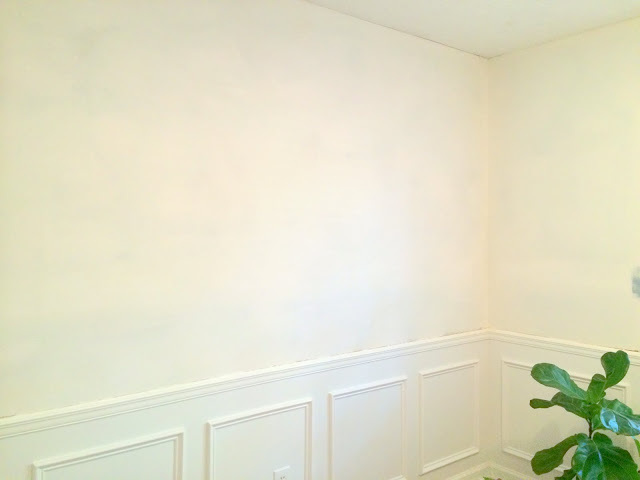 There’s still more to add, like window treatments, more art, crown molding, and a bar area for entertaining, but check out the projects below to get the details on the paint, makeover process, and more for what’s happened so far, get tips, etc. See all other dining room posts here. I love the gold lamp you used in the dining room. Would you mind sharing the source? Thanks! Gold lamp? Do you mean the new copper light fixture? If so, the details on it can be found here. Painting is one of the easiest DIYs around! For more tips & tricks, see the Painting section in my Project Gallery. Hi Rachel, if you don’t want to DIY it you can check out these Auckland Painters if you like. They did some work on my old villa about a month ago, really impressed at how good they made the fretwork look. Such an amazing transformation! I love how you went for a bold colour it worked so well! Your hard work has well paid off. And I like how you choose bold blue for the wall. It’s stylish, simple but modern. 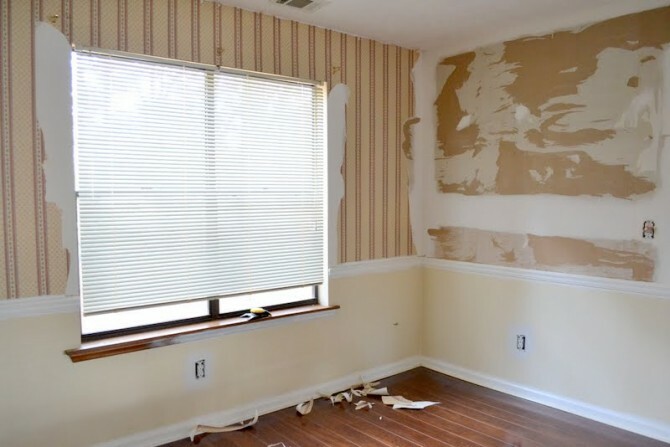 So I initially found your website while looking for tips on removing wallpaper. I was prepping to do our powder room. Eventually, I became enamored by your dining room transformation and it made me move into the dining room instead of the powder room (which was easier since there was no wallpaper). 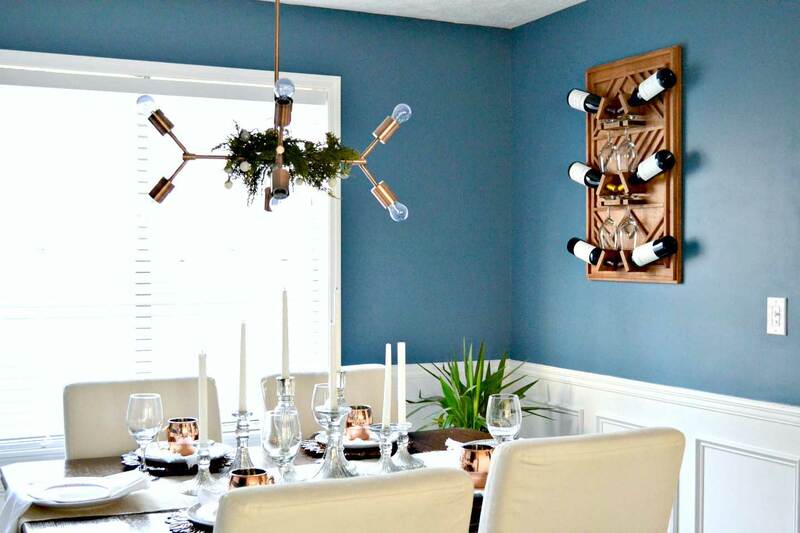 I’d already picked out a color for our dining room and over the course of time I was really inspired by your blue walls and took our paint back and had a new batch mixed up to come as close to your blue and changed my whole dining room plan! I can submit photos to you later, but thank you for your inspiration! Amazing, thanks so much for the compliment Breland! I’d love to see photos when you finish! Did you do all of this yourself (i.e., the floors, light fixture, painting, picture frame molding)? My house needs a lot of TLC and I just feel overwhelmed and don’t know where to start. You can find each of those projects in their links on this page, but I occasionally had help when it came available (for instance, I was busy with one DIY while my uncle helped me tackle the picture frame molding). I usually do most of the work myself. 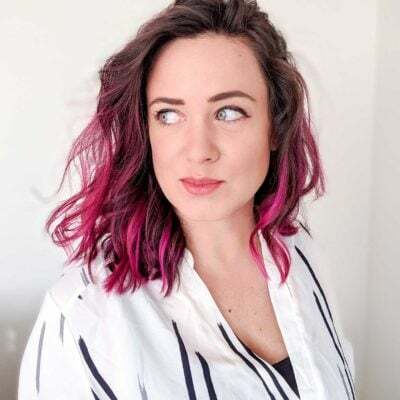 The best advice is to start with a small project that only scares you a LITTLE, then once you’ve done it, you’ll feel more confident and more momentum for the bigger projects. You got this! Sarah, Love your picture frame molding. I went back through to see if I could find what size molding you chose but I may missed it. Would you mind sharing? I don’t know off the top of my head, but I’ll take a quick picture of it before my next Home Depot/Lowe’s run and see if I can find a match to the name, then comment back here. But I got it as plain decorative molding (so no pre-made boxes or anything like that) from Lowe’s. There aren’t a huge number of options at the store (I bought 16-foot lengths, and they don’t tend to carry more than 2 or 3 options), so if you take a picture of one of the closeups from this post and try to visually match it at the store, that could work a little faster if you’re needing an answer within the next few days. I love the page. I can`t wait for doing my own renovation but for now I got a 1920s house and needed experts to deal with it (too much needed to be done and too many rooms). Ooh, the 1920s is one of my favorite time periods for design. Sounds like a wonderful project!